If you are looking for the finest summer camps in the country, Maine is where you want to be. Now is a great time to register or plan tours for 2019 enrollment. Campers come to unplug from technology, connect with nature, make lifelong friends, have fun, learn new skills, gain confidence and independence, and more! Pricing ranges depending on session length and camp. Below are average costs that parents should anticipate paying for tuition at these premier camps, which provide round-the-clock supervision, accomodations, purposeful programming, all meals and healthy snacks, and top-notch activities and instruction. There may be incidental costs such as transportation to camp, clothing/supplies, and trips. A deposit is due with enrollment. Remaining camp tuition can usually be split into multiple payments. Maine Camp Experience Camps provide a robust schedule of daily and evening activities with top-notch instruction. Programming is comprehensive and progressive. The daily schedule features a few activity periods in the morning, lunch and rest hour, and a few activity periods in the afternoon. Dinner and an evening activity usually cap off the night before lights out. Some camps plan all the activities for campers; some are fully elective. Most offer a combination of choice between scheduled and elective periods, which often become more elective as campers get older. Activities are a combination of water sports, land sports, arts, and outdoor adventures. Maine camps offer over 50 different activities such as sailing, waterskiing, tennis, lacrosse, soccer, horseback riding, ropes courses, digital photography, ceramics, culinary, dance, gymnastics, theater, and more! In addition to the daily schedule of activities, there are many special events and out-of-camp trips. Maine Camp Experience camps are all general interest meaning campers have access to a wide variety of activities. The benefit is that not only can campers enjoy a focus sport or activity, but campers also enjoy exposure to other activity areas and camp traditions. 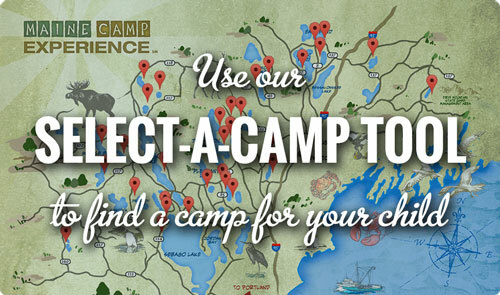 Maine has the greatest number of the oldest, most established overnight camps in the country. Each summer 20,000 kids spend time at Maine camps. 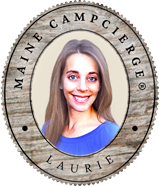 There is incredible natural beauty at Maine Camp Experience Camps including crystal clear lakes for daily waterfront activity and the smell of pine trees in the air. There is great geographic diversity of campers - campers come from every US state and 30 countries abroad. There is a great climate in Maine camps where the weather is temperate. Opportunities abound for memorable out-of-camp trips to places like Acadia National Park, Boothbay Harbor and more, plus families/parents get to enjoy the great food and culture of Maine when they visit their campers. We know you still have questions. And we know this is a big decision. Please call us, email us, chat with us online or request more information - all the options are on the right. We will answer your questions and we'll work with you to help find the best camp for your child. It's an experience your child will never forget and a part of their life for which they will always thank you.